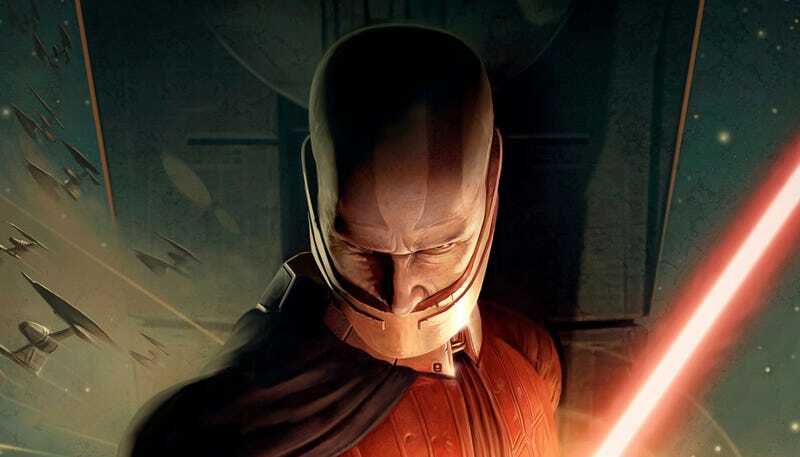 Knights of the Old Republic may be coming. “You know we talk about [Knights of the Old Republic] all the time,” Kennedy told MTV at Star Wars Celebration. “Yes, we are developing something to look at. Right now I have no idea where things fall but we have to be careful that there is a cadence to Star Wars that doesn’t start to feel like too much.” Here’s the full interview, which has some other good nuggets as well. Way to casually drop into conversation that one of the most popular games in Star Wars history, telling a wholly unique story in a totally new era of Star Wars history, may just become something in the future, Kathy! We’ve reached out to Lucasfilm to see if we could get clarification and will update when and if we hear. It’s important to note Kennedy’s choice of words here, though. “Developing something to look at” doesn’t make it sound like it’s a project that’s in the pipeline or anything. More like someone is working on a pitch and if that pitch works, maybe it becomes something. And it doesn’t even sound like it has to be a movie or a TV show. Just “something to look at.” It could also be the Benioff and Weiss movies. We just don’t know. And yet, any chance a story set thousands of years before the Empire could be coming out, and becoming canon, is exciting indeed.